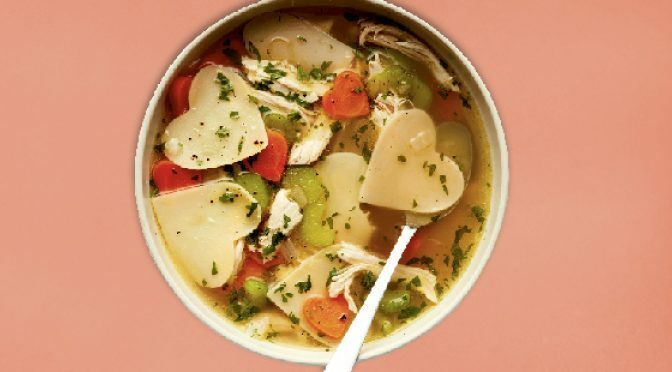 Who says chicken soup helps get rid of the darn flu? You can be the hottest thing on the circuit. You can be lionised, feted, and actually believe you are invincible. That the sun rises to hear you crow. That the thunder in the distance is applause for you. You can travel first class and check-in on Facebook, on the Costa del Sol or skiing in Gstaad. You can have a big bash on your yacht, and open another multi-million dollar factory. You can ask your sycophants to laugh at your jokes and serve you lashings of admiration as you fling your opinions at your underlings. In one fell swoop, it can be up for grabs. Needs a microbe so small your eye cannot see it wreck your illusion of forever and a day. All that self-delusion sloshing about and then, along comes an invisible bug, some virus or bacteria that was uninvited. It gets into your system, and the next thing you know, there goes your pomp and splendour, as the mercury rises, the body aches, and the indignity of medical tests start. Plus, that stuffy head and the waves of utter misery as you field idiot suggestions on how to feel better and what meds to take. Please go away and let me die in peace. Suddenly, you do not count for diddley. All that splendour in the grass turns brown. There goes all the starch in the spine, and the arrogance wilts like a shot balloon. From that moment on, when the fever spikes, you are now a patient at the mercy of that infection, so totally helpless as you wallow in misery. Blood work, a glob of medicinal goo here, a shot there, better take an x-ray, hold the sides, please, take off your shirt, lie here, prod there, another blood test, hold your breath, how was the urine result? So much for your dignity, all out of the window, not worth a dram. Here, have some cough mixture instead. What price the Costa del Sol now, brother? Ughhhhh, don’t mention the smoked salmon and the caviar, I want to throw up. Life turns bleak, and you wonder if you will ever be well again. Doesn’t look likely at all. People say silly things, like cheer up, it will pass. Some clever friend who knows it all suggests chicken soup (for some reason it is always flipping chicken soup, when the fact is, chicken soup does nothing for any condition), and then you have that one person who has been through it, and is now an expert on viral flu, who says it could be a five-day, seven-day or a nine-day flu. Thanks, just what you want to hear. Then another fount of wisdom says, “Mine was eleven days”. Then you are weak as a kitten. You are okay with clichés, but at this moment, that kitten looks like a tiger with a full tank, you want to talk weak, talk to me, I am the resident chief authority on weak. It doesn’t stop here because the next person with genius tattooed on his forehead will say, amazing huh, how it is always odd days, and they will sit around you and discuss the merits of this statement. If they put you on antibiotics, in case it is bacteria inclusive, then you are told how you have to fight the after-effects and the word ‘fight’ has such an absurd dimension to it as you lie curled up like a little deflated ball. Fight is not the operative sentiment at this moment. Fight is not even on the cards. Shoo, go away. It is incredible how everything goes for a six. Your job, your self-worth, your plans for the week, wrecked by a viral or whatever and acres of tablets and seas of syrups and mountains of advice. There is nothing worse than your body kicking you in the guts. Ambition turns soggy. You don’t care who won the cricket match or the election or who came or who went. All you want to do is be left alone with your misery, and please, no more advice. You cannot even look at WhatsApp messages or check your email. Let them all drown in a teacup. Then you drag yourself to the doctor and sit in the super-chilled waiting room. Your skin crawling. You have shivers up your spine. He finally calls you and says, a lot of this going around, it is the season, lots of people coming in with same symptoms…as if this collective agony will somehow make you feel better. Even the doctor’s bills don’t bother you, and as your resistance crumples, and exhaustion sets in, and food begins to taste like cardboard, you actually understand what abject surrender must feel like… a state in which you have no say, and everyone else knows what is good for you. It is truly amazing how much you would give up just to feel well again. You get up one day and you say something like, have you seen the electricity bill, will someone in the house start being a little more careful, or where the heck is the remote?, and you know then, you have beaten the bug. The heck with chicken soup and those ghastly biscuits that materialise when you have the flu. Get me proper food. Previous PostWhat’s your stand on hugging people you have just met?Next PostWhat’s this Kiki song people are jumping out of cars for?